Good stuff Mark - I used to think ridiculous standard bearer poses only came in plastic 1/72 packs but glad to see its still the same in 28mm. Just the motivation I need ! Yeah I was surprised and a little irritated by the standard bearer Paul, but heh 1/72nd plastics are good practice for such things! And yes more painting and we need to organise some more games too. Always feels like I just need to get a few more units off the painting desk first... but that is never ending! 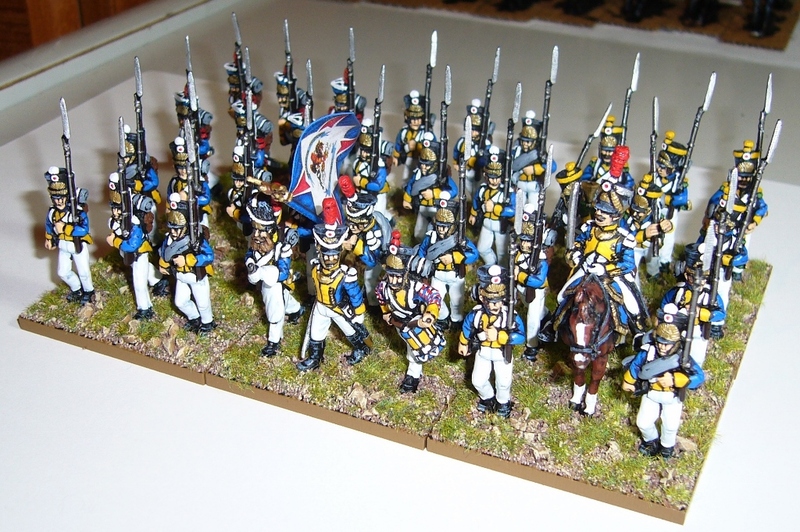 One I get back from Aussie tomorrow I plan to force myself to sit at a desk and finish off Prussian Cavalry. Its just painting the horses is not my strongpoint.